Health problems and short lifespan have become the greatest problem in the modern society with most health professionals implicating this problem to the diet routine. Dr. Loren Cordain through his explanation in the ‘Paleo diet’ demonstrates that by people satisfying themselves with delicious meals such as meat, fish, non-starchy vegetables, fresh fruits and snacks, people can treat and prevent heart diseases, osteoporosis, cancer, metabolic syndrome, diabetes and associated illnesses (National Geographic). Cordain argues that the eating of meat, fish, veggies, fresh fruits, seeds and nuts and other food categories that made up the diet of the Paleolithic age is the healthiest way to eat. The reason for such a preference is that the foods makeup the nutritional approach that our bodies were genetically designed to utilize. He argues that Paleo diet is proved by natural selection to help people stay active, energetic, lean and strong, manage weight and fight diseases while enjoying delicious and satisfying meals. In contrast to Cordain’s view, Gibbon in his work The Evolution of Diet demonstrates how a group of people eat the same diet but suffer from the same diseases (National Geographic). A good example is his comparison between hunters and gatherers. Those who source their foods from hunting lead a healthy life, free of diseases. The group of people from the community of hunters and gatherers who decided to domesticate the animals from where they get the meat and milk, and also grow the crops in their firms where they get fresh fruits, veggie and nuts suffer from indicators of ill health such as obesity and illnesses such as diabetes, cancer, heart diseases and the associated lifestyle diseases. This thesis demonstrates that though eating like our ancestors make us healthier, there is no singular ideal diet. The hallmark of healthy living is the ability of human beings to adapt to many habitats, which involves combining different foods to create a healthy diet. Cordain argues that we should adopt the in full, the diet of the people of the Paleolithic age. This involves meat fresh fruits, fish and non-starchy vegetables. We should first evaluate whether this diet is attainable in the modern generation, especially where the highest proportion of people are peasants and the urban poor. Gibbons argues that the population is growing at an alarming rate. The paleo age had meat making up about 90 % of their diet (National Geographic). Adopting a diet that revolves around meat and dairy will strain the world’s resources to exhaustion than the one where a greater proportion of the diet is unrefined fruits, vegetables, fruits and nuts. The population that fully depends on the paleo diet will soon be reduced in size and move into extinction. An example is the emergence of Agriculture that pushed nomadic hunter gatherers off prime farmland, limiting them to the Amazon forests, remote southeastern Asian islands, the Arctic Tundra and the African grasslands. In the modern times, only few insignificant hunter gatherer tribes remain on Earth (National Geographic). The survey that Gibbon conducts on a sample of hunter-gather families indicate that the meal is not enough to live on. The world climatic conditions and the population explosion are unwelcoming to those who fully adopt the Paleolithic age diet. In as much as the diet is healthier, it begs the question on the chances of one surviving in this world with such hundred percent diets. The studies that were done on the foragers such as the Tsimane, Hadza and the Arctic Inuita indicate that these people for many years in the past did not develop atherosis, high blood pressure or cardiovascular diseases. Evolutionary nutritionists attest that the diet ideally fits the genetic makeup of humans. The evolutionary nutritionists studied the diet of the living hunter-gatherers and identified that 73 % of these people sourced a greater percentage of their calories from meat. Based on this study, Cordain coined the paleo prescription where he advocated the eating of plenty fish and lean meat, but discouraged the consumption of foods introduced after the consumption of agriculture and cooking such as dairy products and cereal grains (National Geographic). Gibbon argues that most posh families have meat making up the greatest proportion of their diet. Grilled meat is all over in posh joints and entertainment spots. The same population is greatly affected by the lifestyle diseases. The diseases include cancer, high blood pressure and other cardiovascular diseases. This clearly shows that there is a mismatch in the human’s adaptation to their habitats or a mismatch in the combination of different foods to create a healthy diet. Cordain argues that the bodies of humans have evolved to consume meat, from the standpoint of the presence of the relevant enzymes in the body such as proteases. Gibbon, on the other hand, argues that red meat is bulky in to digest, which leads to humans developing large guts. He advocates the consumption of greens as a greater proportion of the diet. The vegetarians share in the same school of thought. In an attack on this lifestyle, Cordain argues that vegetarian diets lack vitamin B12, and animal foods are the only important sources of these vitamins. Vegetarians become deficient of these important nutrients, impairing their health and survival. Cordain further argues that a study published in the vegetarian's magazine revealed that there is no significant difference in the mortality rates between vegetarians and the people who eat animal proteins. The evolutionary evidence shows that whenever animal foods were available, hunter-gatherers preferred them to plant foods. In conclusion, the assertion that “The Evolution of Diet” begins with a question: “Could eating like our ancestors make us healthier?” holds true in the above discussion. Loren Cordain, the founder of the “Paleo Diet” answers this question resolutely in the affirmative, but in “The Evolution of Diet” Gibbons presents scientific evidence that casts doubt on the claims made by Cordain and others that advocate a return to the diet of our pre-agricultural ancestors. Studies suggest that indigenous groups face trouble whenever they abandon their traditional eating habits and lifestyles in favor of the western way of life. This can be cited as the reason for the occurrence of some diseases. For instance, in the Maya community, diabetes was never known prior to the 1950s, when the people started adopting the western culture. Such an observation that dates back in history is argument able a concluding factor that indicates that poor eating habits are the source of diseases. It is evident therefore, that the evolution of diet and new means of eating habits does not directly relate to good health. Therefore, focusing on the theory of Loren Cordian, it is true that eating like our ancestors will make us healthier. National Geographic,. 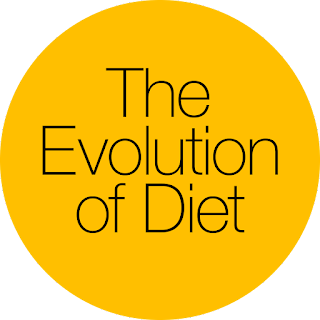 'The Evolution Of Diet'. N.p., 2014. Web. 5 Nov. 2014.